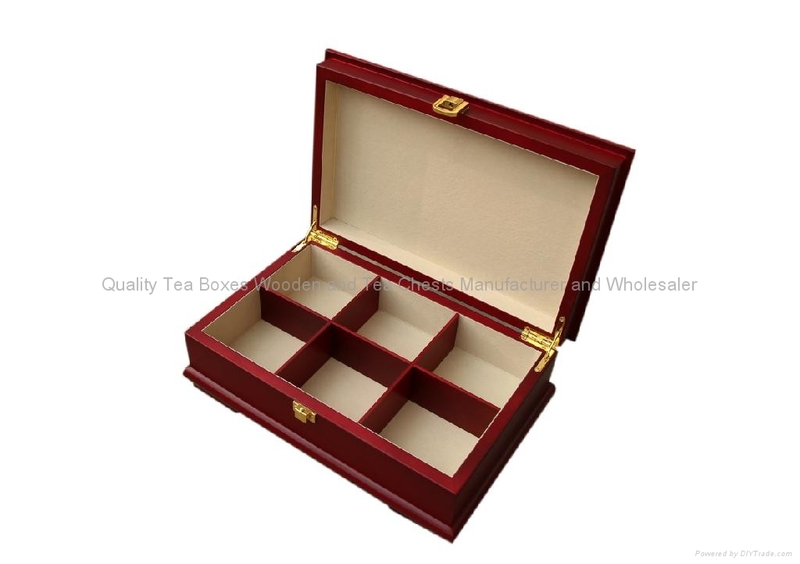 This six compartment elegant wood tea chest is made from solid wood with rich mahogany finishing outside. Inside is fully lined with beige felt. Inside dividers is removable. 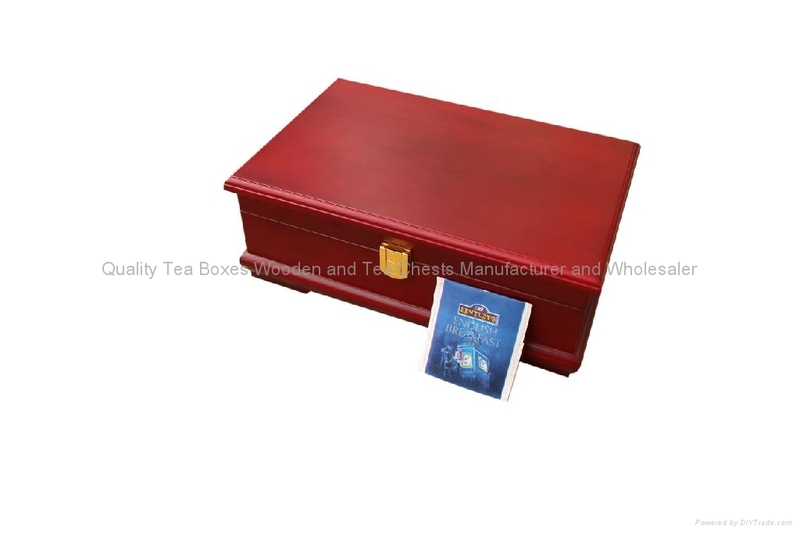 Customer's logo can be embossed onto the felt and outside the lid. Gold/silver engraved or printed logo is available upon request. Golden 90 degree supporting hinges and clusure makes the whole box much more modern. On the outside bottom corner, there are four legs and rubber mats to avoid any scratching on the table. 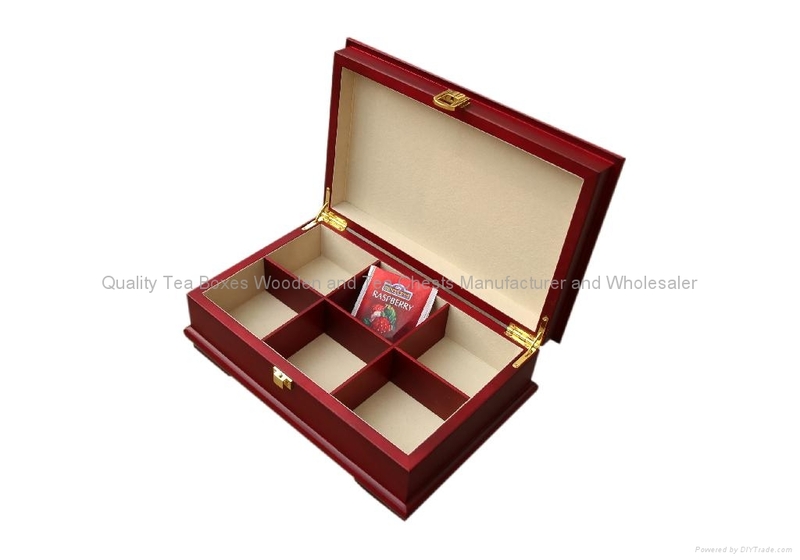 We take great pride in manufacturing the highest quality, custom made tea wooden stand and tea chests & boxes wooden for each and every customer. We have the skilled workforce and expertise required to meet any and all of your wooden box needs.